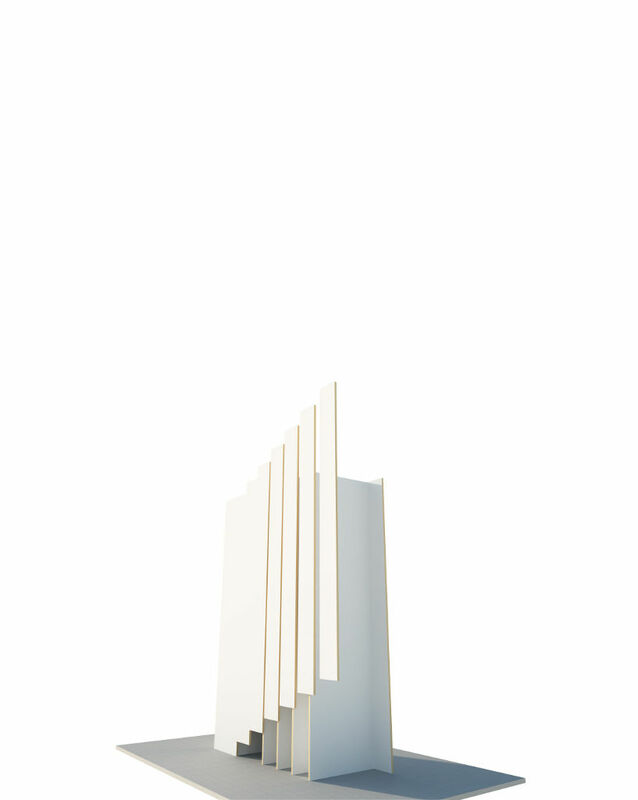 Metal and concrete, along with various composite materials, are the definitive building blocks of contemporary architecture. Wood is more historic and homespun … or is it? For almost every green attribute that these trendier materials can boast, wood can boast one of its own. 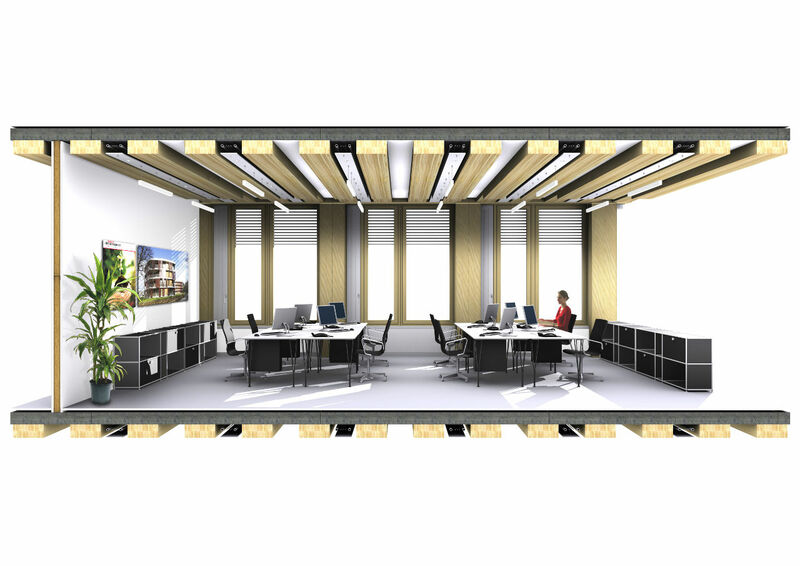 Most notably, wood is renewable, it represents low embodied energy, and it sequesters carbon for as long as it is in use as a building component. 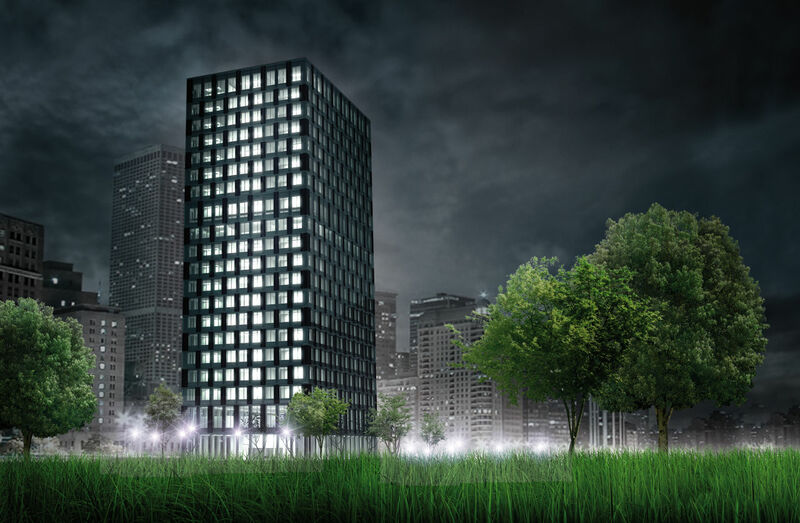 The designers of the LifeCycle Tower are setting out to prove that wood can be used for more than just homebuilding. 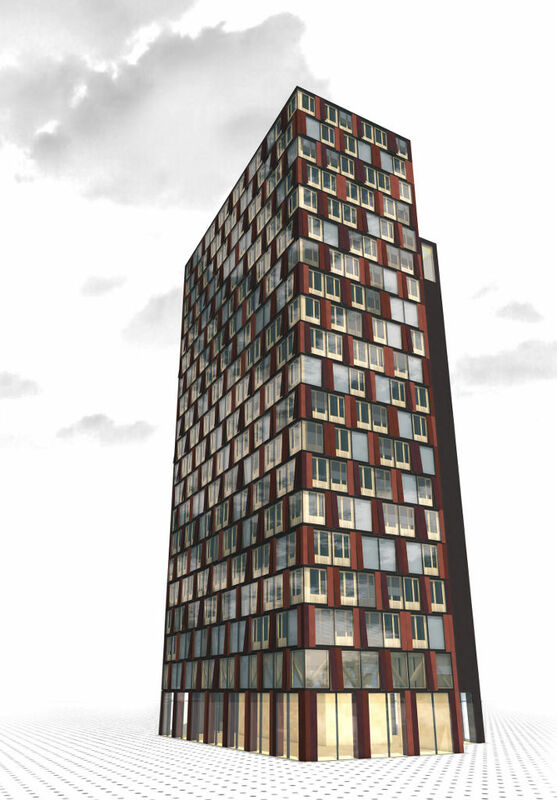 The Creative Renewable Energy and Efficiency Group (CREE Group), working with developer Hubert Rhomberg of Rhomberg Bau, architect Hermann Kaufmann, and the international engineering firm Arup, has designed an experimental tower that will serve to illustrate the commercial building potential of wood. 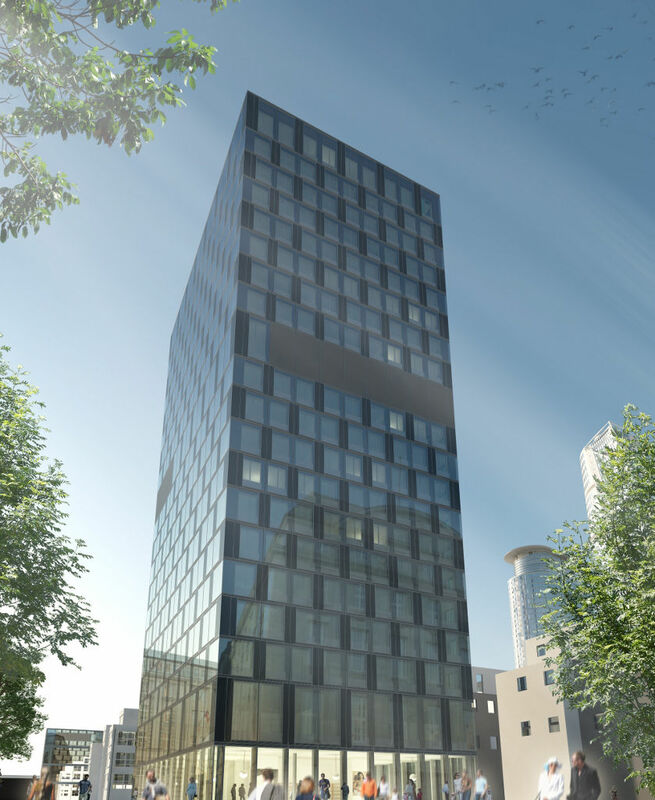 Dubbed the LifeCycle Tower, it is projected to be structurally sound to 30 stories tall and a prototype of the concept building will actually be built in Dornbirn, Austria. 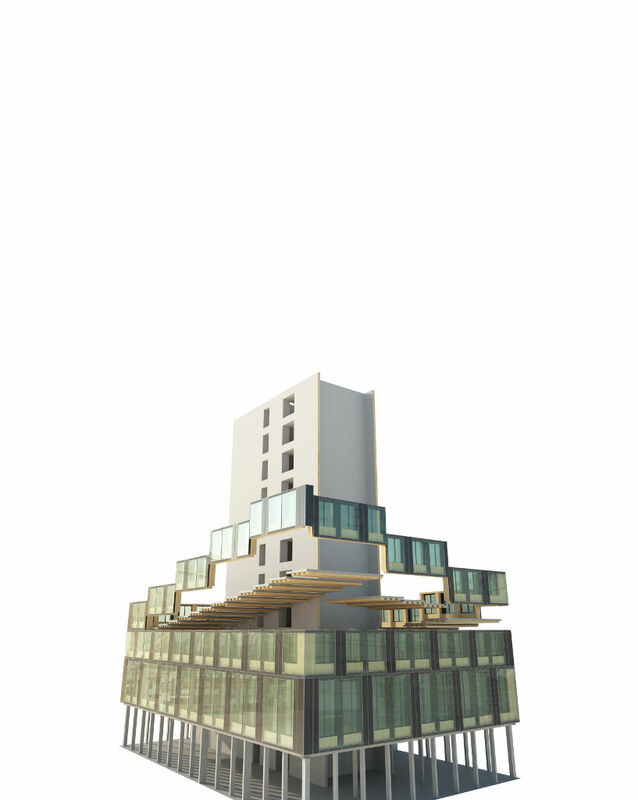 Structurally, the LifeCycle Tower is a hybrid of wood and concrete, with some metal reinforcing. 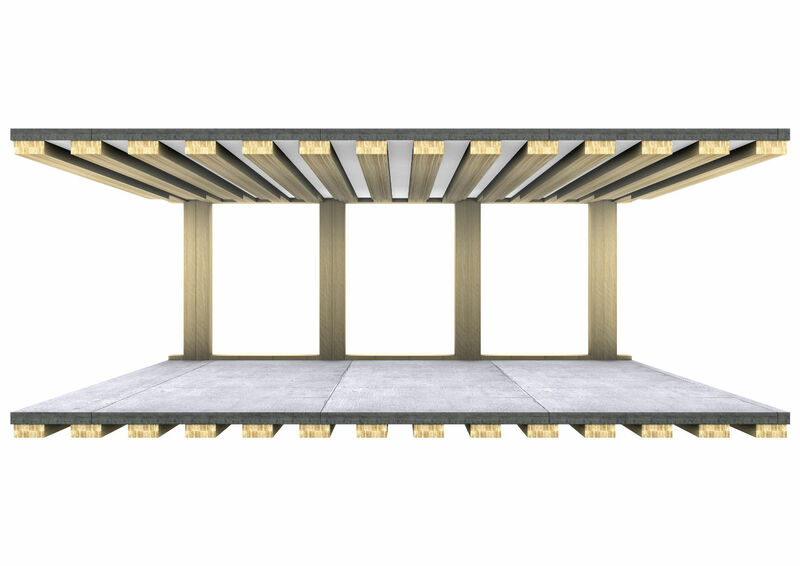 For each floor slab, a layer of reinforced concrete is bonded to wood members, creating a decking that performs well both thermally and acoustically. 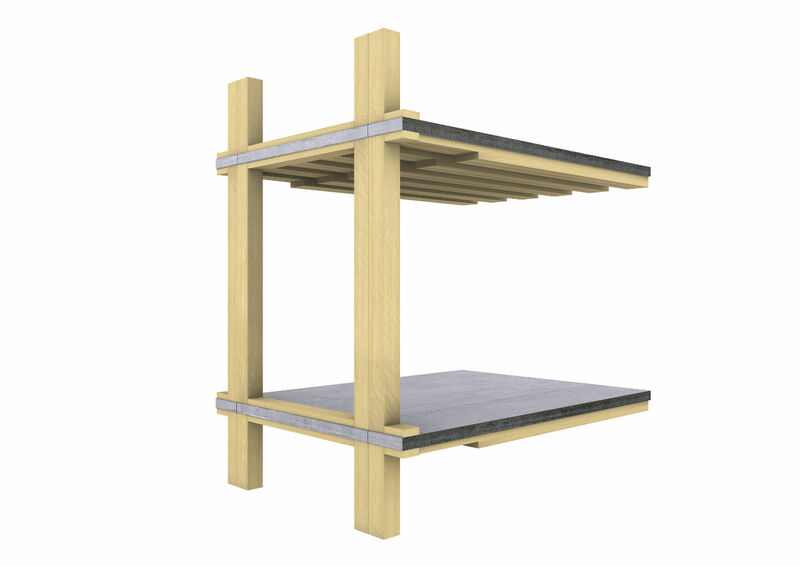 Glulam double columns support the floor decks. The structural glulam beams that are exposed along the ceiling surface at each level offer not only warmth and visual interest but provide some benefits for space use as well: the voids between them can be used to stabilize wall partitions or used as channels for the insertion of light fixtures, HVAC elements, or sprinkler systems. 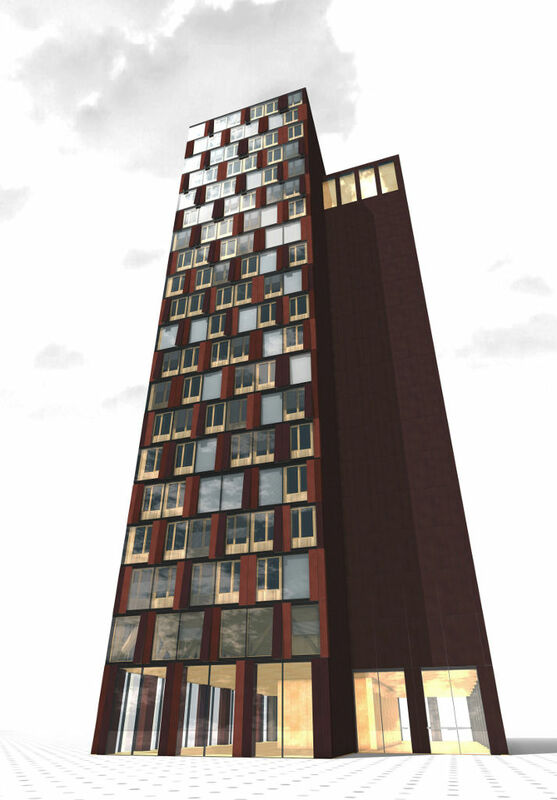 The LifeCycle Tower will be constructed partially on site; facade panels and composite slabs will arrive pre-assembled. A base of reinforced concrete that extends from the basement up through the second floor will be constructed first; then a central core of glulam beams will be erected. Composite floor slabs and timber framing will then be attached. 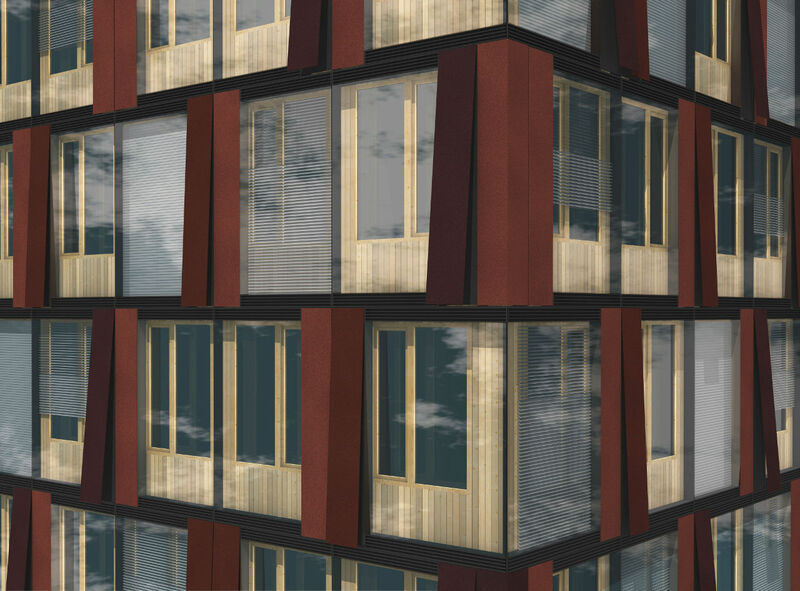 The building frame establishes a modular grid, which is adaptable according to client needs. 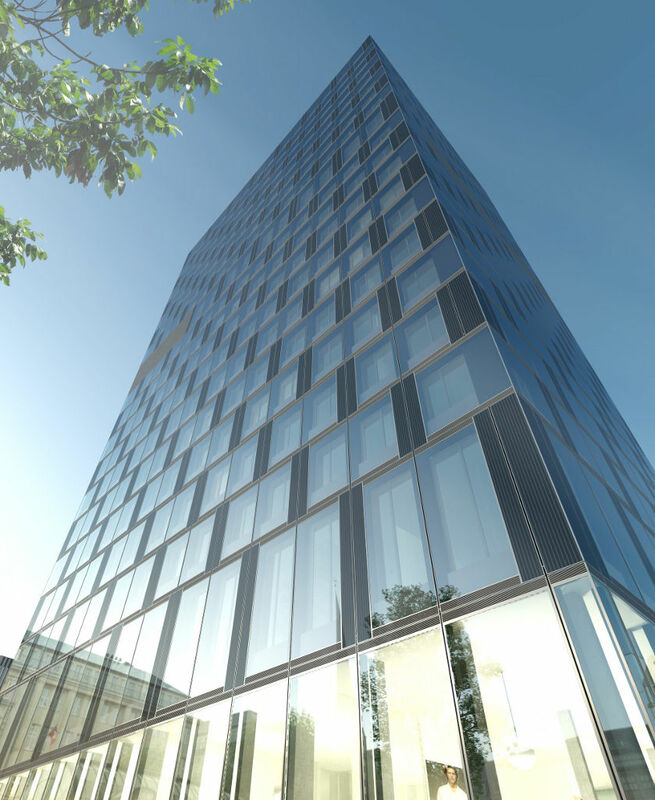 Different facade treatments can be fitted to the exposed timber columns of the structure. 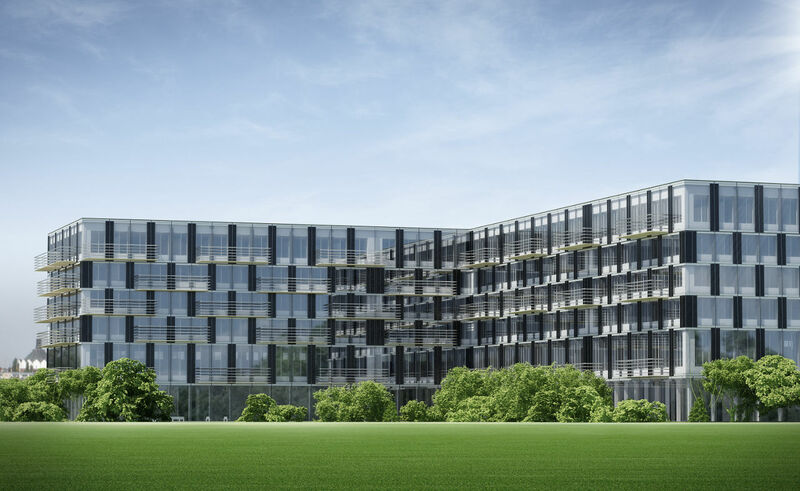 Windows, however, are specified by the designer (and are part of the prefabricated units) in order to ensure proper ventilation, sunshading, and noise control. 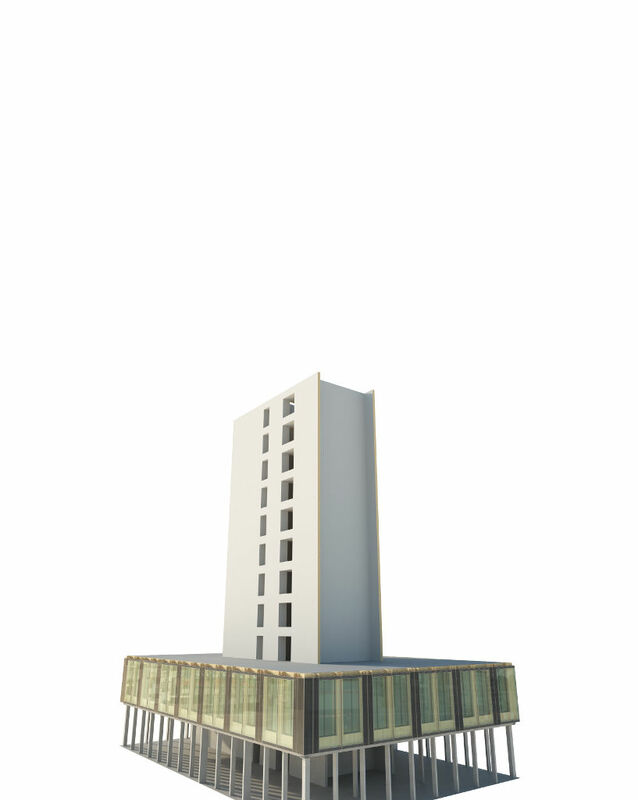 The architects have also designed alternative layouts for the structure, broadening its possible applications. 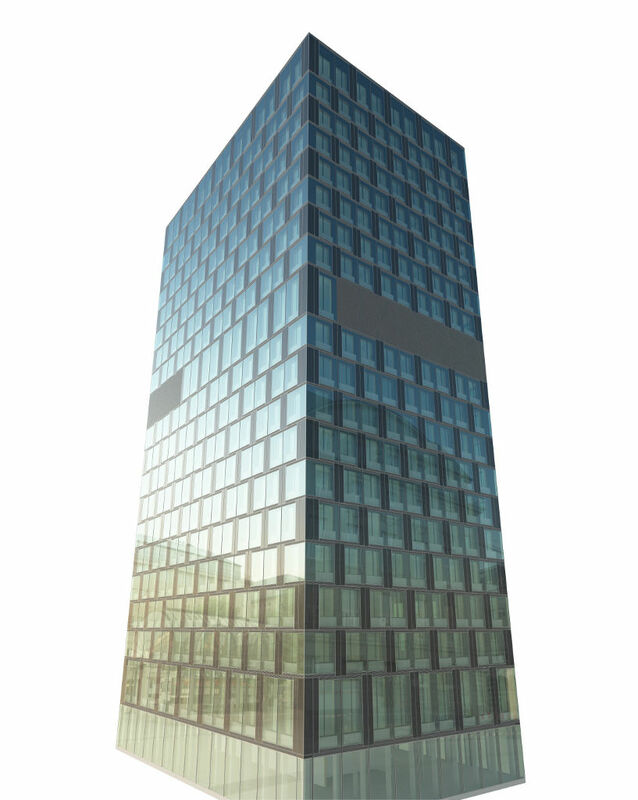 For example, it can be a high-rise office tower or hotel, or it can be a low-rise office building or apartment block. 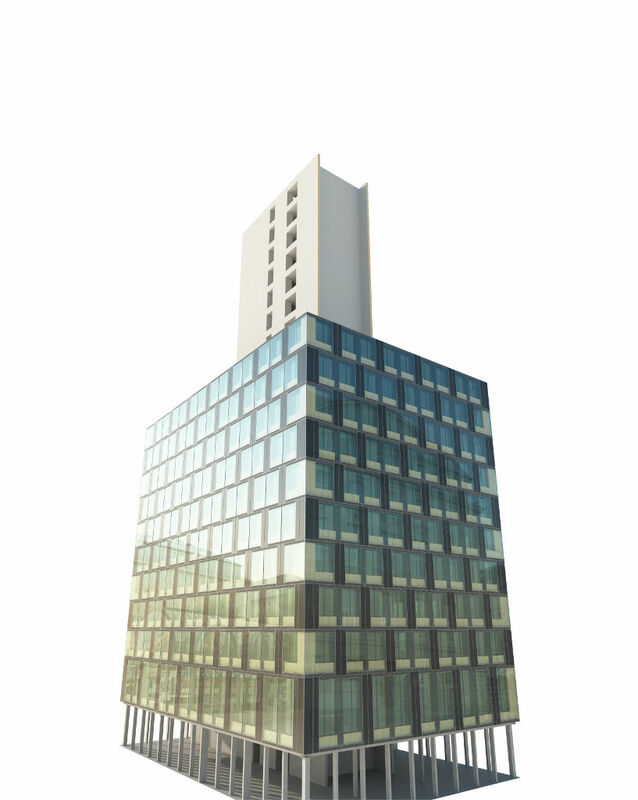 The ground floor of each design is generally open between the support pilotis and can be glazed to support retail or public programmatic functions or left as exterior space to provide a parking area. 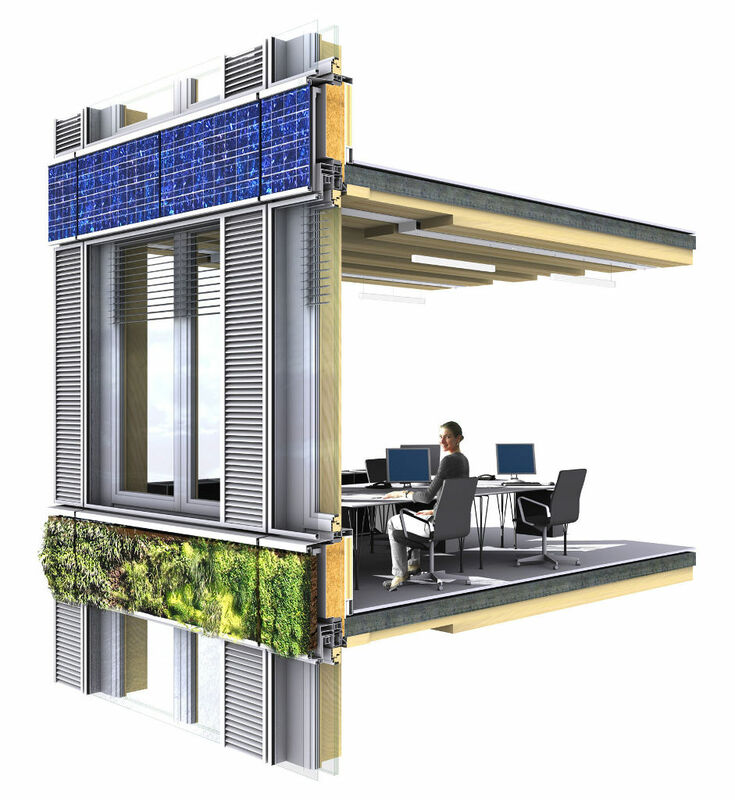 Cost containment, little margin for error, and quick construction times (all stemming from the controlled construction conditions of the prefabricated portions). Low noise and dust pollution during construction. 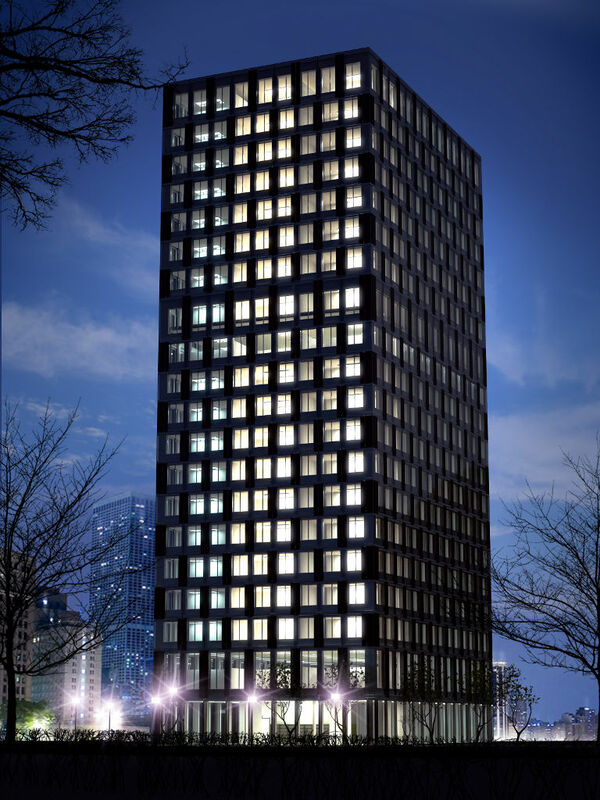 Fire protection measures, always a challenge with wood buildings, include the installation of high-performance sprinkler systems and the sealing off of each floor. 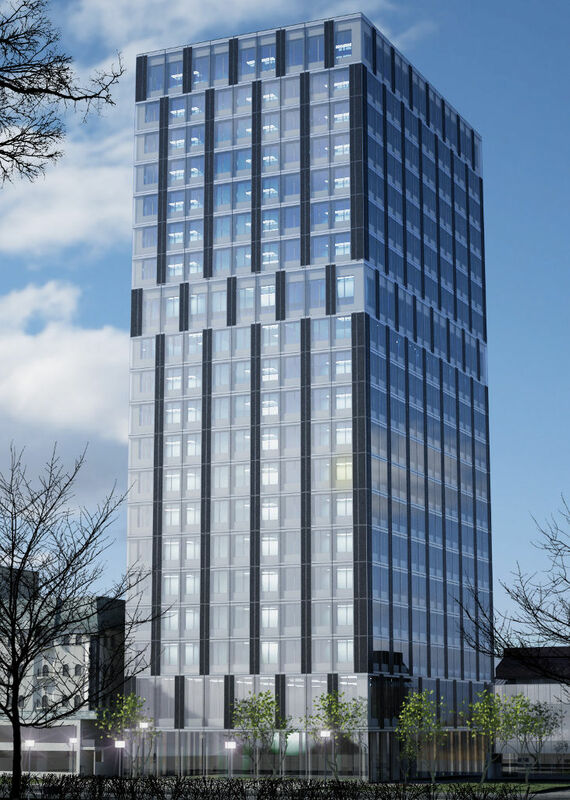 According to the Arup website, cavities were designed in the structure to ensure that smoke and fire would not spread, and timber columns are not continuous but rest directly upon the concrete slabs, providing a barrier against vertical fire spread. 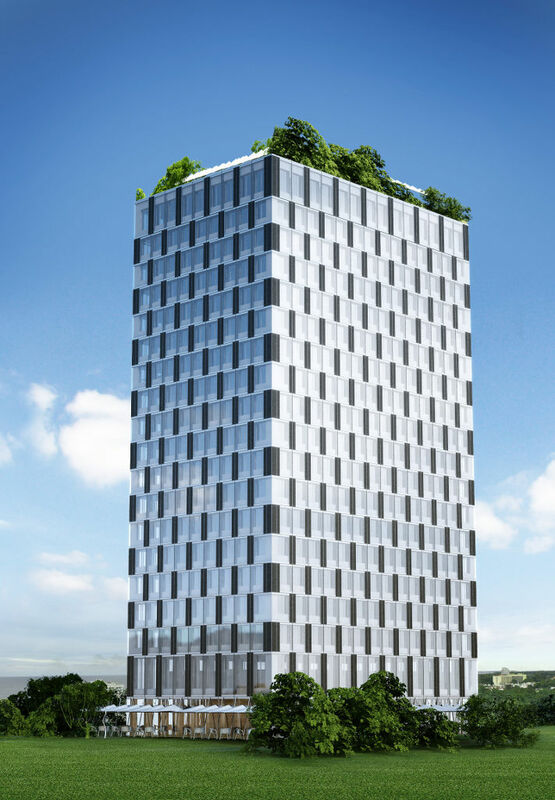 Construction on the first two stories of Dornbirn’s experimental LifeCycle Tower is expected to begin in spring 2011.